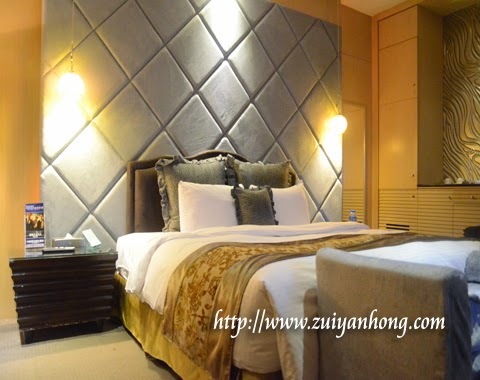 From Shilin Night Market, we moved to Amain Boutique Motel. 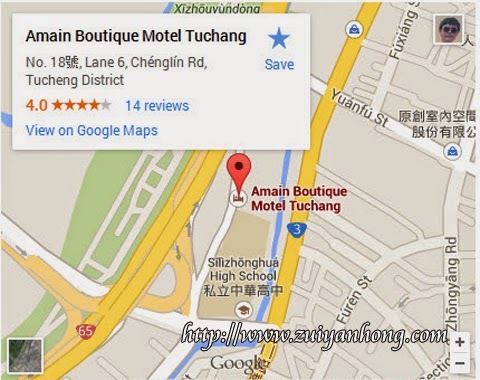 This is the location map of Amain Boutique Motel. It's located at Tuchang Taipei Taiwan. 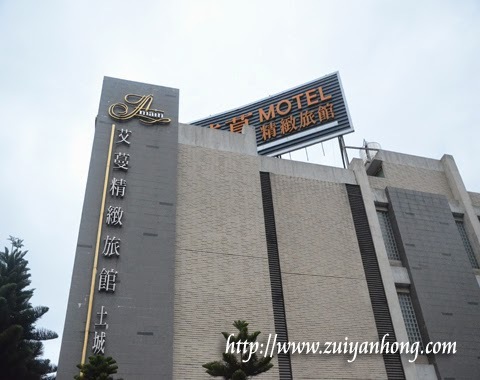 We stayed in Taipei Amain Boutique Motel on the first night during our trip to Taiwan last year. The bar of the Amain Boutique Motel is truly different. 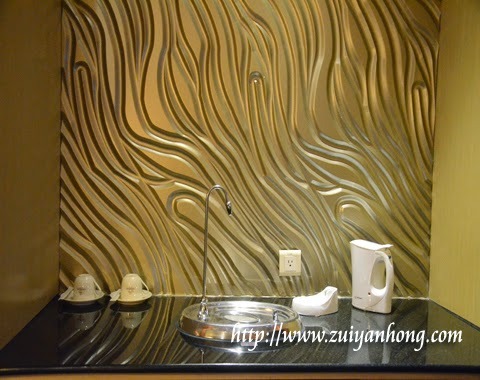 The artistic design of the bar is very eye-catching. The bathroom of Amain Boutique Motel was cozy and spaces. All items in the bathroom were clean and displayed orderly. There was a Jacuzzi bathtub in the bathroom of Amain Boutique Motel. As we were too tire and running out of time, we didn't use the Jacuzzi bathtub. This is a beautiful lampshade in the guest room of Amain Boutique Motel. 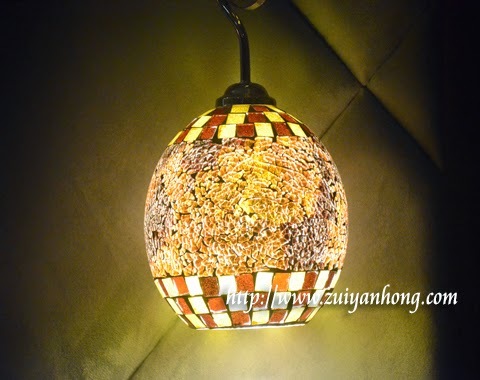 I was fascinated with this unique lampshade and snapped some photos of this interesting lampshade.